A new service that lets NFC phone users enter their PIN on their mobile device to confirm a high value transaction is making it possible for UK consumers to make contactless payments valued at more than the current £20 (US$32) transaction limit for the first time. The new high value contactless service requires a software update to merchants’ contactless POS terminals and is currently live in the stores of a UK carrier, a client of payments and loyalty specialist The Logic Group, which has gained accreditation from Visa for the service. Two other merchants are also in the process of rolling out the service ahead of wider availability in 2015. High value contactless uses two-stage authentication, Mark Prior-Egerton, solutions marketing manager at The Logic Group, explained to NFC World+. “From the consumer perspective, there are two user experiences. “The first user experience is where the customer goes up to the terminal and instead of presenting your card, you’re going to be presenting your mobile. So, you’ll say you want to do a contactless transaction, you’ll take the phone and go near to the reader and it’s almost like a two-tap interaction, and then you bring the phone back and it will identify that it’s over £20 and will request your PIN. “So you’ll put your PIN into the phone and, of course, it will do something similiar to how it works with the terminal at the moment; it will actually come up so you will be able to see it on the phone display. Once that comes up, you tap again and that’s when it confirms that it is your PIN with the issuer and goes off and the transaction’s complete. In the future, consumers will also be able to use a range of alternatives to the traditional PIN to verify high value transactions with their NFC phones, Visa Europe told NFC World+. “We also now support issuers who would like to offer other forms of authentication, for example fingerprint recognition or a pattern-drawing system,” the payments network explained. “Contactless has definitely arrived and we’re seeing an ever increasing uptake of new ways to pay. In fact, consumers across Europe made 700 million contactless purchases in the 12 months to September 2014,” Visa added. 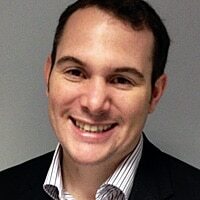 “Retailers are recognising the potential to provide a much more convenient payment experience for the customer and with the announcement of Apple Pay in September; we’re at a pivotal moment for digital payments that demonstrates the continuing momentum behind mobile and contactless services. As I understand, using the mobile keyboard as pin pad needs certification by the large payment schemes (eg. EMV) for evry mobile model.. Using a contactless card alike approach for high value transaction I think would lower end user “hurdle” and avoid the certification need. Nice development! Though the chosen 2 step tab and entering the pin on the mobile device seems a bit awkward to me. Why don’t you let customer tab the NFC reader (using their NFC phone or even contactless bankcard) to present their bank account number (io using the contact reader for chip and/or magstripe), and let the customer enter their PIN on the already certified payment terminals? This process flow is in line with existing schemes, easier to explain to customers and making use of existing infrastructure. Tab twice and entering a pin on the mobile device, io entering the pin on the already certified payment terminals, feels to me like introducing an unnecessarily complex step and is taking more time. Further, I don’t believe customers are willing to enter their mobile pin whilst standing in the cue especially for any amount above GBP 20. Feels like signing a blank check! See https://www.youtube.com/watch?v=ar8EhrTIPYM, for the 2007 pilot that I was involved in at a C1000 supermarket in The Netherlands. Nevertheless my compliments!….. you have made it to a rollout in the UK, whilst in 2007 we ended doing a pilot only in the Netherlands!